We’re not ones to judge if you and your partner decide to do the usual dinner date on Valentine’s Day. However, if you’re looking for an alternative V-day idea in Singapore, read on for various options we’ve come up with! We guarantee these interesting and fun activities will bring you much closer and keep that magic and spark they all talk about, alive! Also, doesn’t matter if you’re happily single or smitten and in love, we’ve got ideas for everyone here! Go back to the place where you had your first date and re-live those memories that set off the violin playing in your head! For more fun, try to note down the events of that night exactly as they were and replicate them! Take the same route to your first date destination and talk about the same topics you discussed before — but this time without the awkwardness! And if you had wanted to do something that first date, like hold your date’s hand or lean in for a kiss, you can do that today! 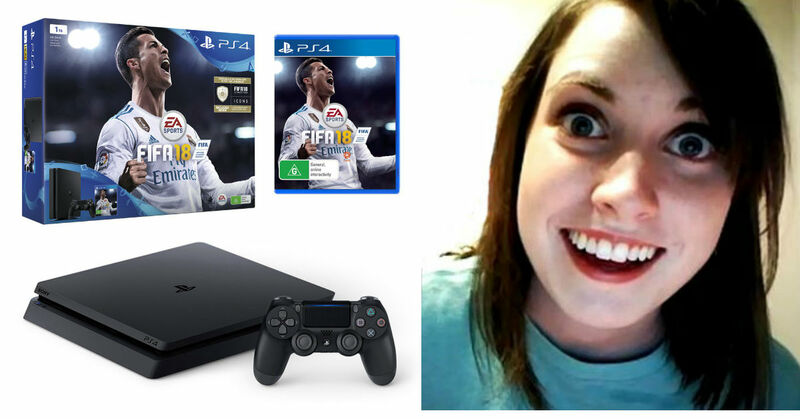 She or he is all yours now! This is an oldie but goodie. Spare yourselves the anxiety of making last-minute reservations at restaurants and do your own meal prep. Start the day by cooking together and bond over these easy recipes for the busy Singaporean. After you’re done, pack it all into a picnic basket and set off to one of Singapore’s many parks and open green spaces! 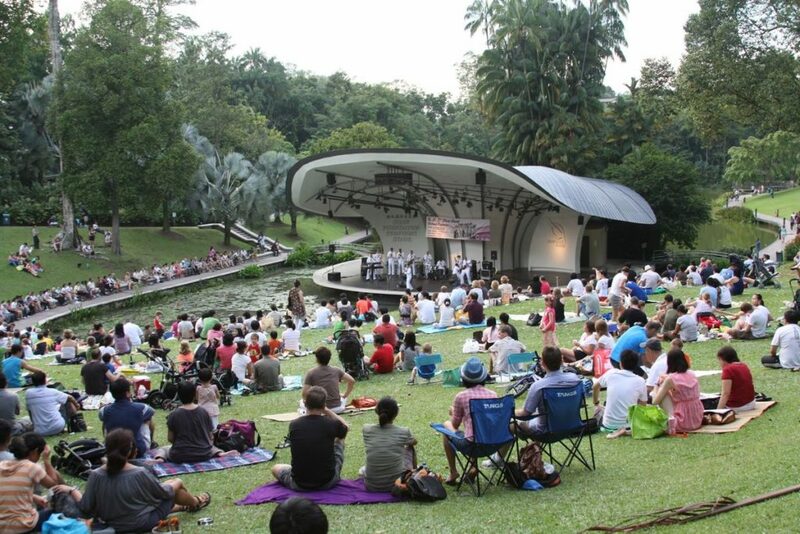 We like the Singapore Botanic Gardens — you might even get to catch an orchestra playing at the Shaw Symphony Stage! Bring along a frisbee, picnic mat and shades for a cool, alternative Valentine’s Day idea in Singapore. This has to be one of our favourites because we’ve all been in this position before! If you find yourself single on V-Day we think you have the same reason to celebrate but this time with your other (happily) single female companions. 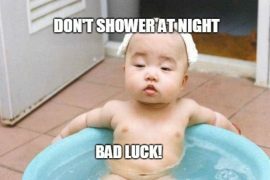 We don’t see why single men can’t do this too! Simply head out for a night in town — anywhere with free flowing booze and good music. 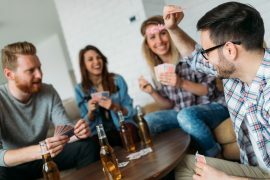 If a night in sounds more enticing, then call your girlfriends over and throw an alternative V-Day soiree. Play female centric movies or songs in the background and serve food and cakes to play up the derisive day — perhaps dagger through the heart cupcakes? You get the idea. Groove to music on the same channel at Silent Discos! For those unaware, silent discos are parties where people dance to music playing on wireless headphones. So instead of having that single track throbbing through club walls, you and your partner will get to tune into the same music channel and dance the night away in a transcendental space. This is definitely one of the more interesting and alternative V-Day ideas to chilling at a bar with live music! 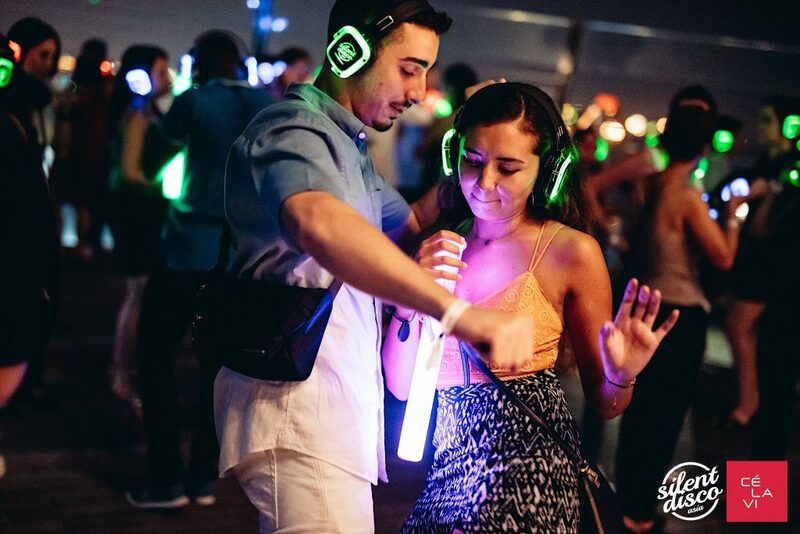 Silent Disco is happening this February at i Light Marina Bay 2019. See here for details and book tickets! They even have a special Valentine’s Day Ball on 14 February itself so you don’t have to wait till the weekend to attend one of these! Celebrate the special day with a sky dining date in Singapore! 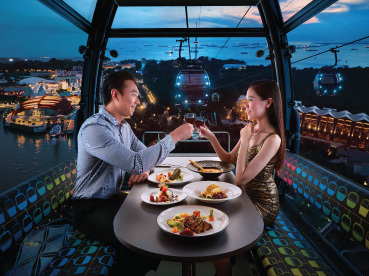 Enjoy a four-course meal in your private cable car and clink your glass against the backdrop of Sentosa island! We’re talking appetizer, soup, main course and dessert with a glass of cocktail! This is one of the best alternative V-Day ideas and puts you and your other half on the top of the world — literally. Not a fan of dining in a moving vehicle? Then these rooftop restaurants in Singapore are a close enough alternative! Relax, restore and feel rejuvenated together with a couple massage! This is great especially for busy professionals who can hardly squeeze a date night into their schedules. A great alternative Valentine’s Day idea to the usual staycations is a couple’s massage in Singapore. If you find yourself working till late on V-Day, then check out these 24-hour spas in Singapore, some of which cater to couples too! However, if you and your partner have the time, then treat yourselves to a luxury couple spa! 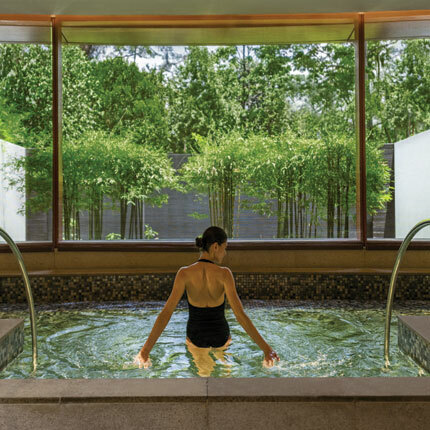 The Auriga Spa at Capella Singapore is one of our favourites! It provides a host of heavenly treatments, using natural products from The Organic Pharmacy. If you choose the PS I Love You (not the book/movie) treatment, expect to be treated to a foot massage, followed by a full body massage, candlelit sensual bath and cocktails and refreshments at their in-house bar — talk about the ultimate pampering experience! Spend a romantic night under the stars — literally! Stargazing is not just for the astronomy lovers but can be enjoyed by the everyday couple too! Head to the Science Centre Observatory — Singapore’s most well-known stargazing site and use their sophisticated telescopes to spot constellations! Note that you can only drop in for a stargazing session here on Friday nights! 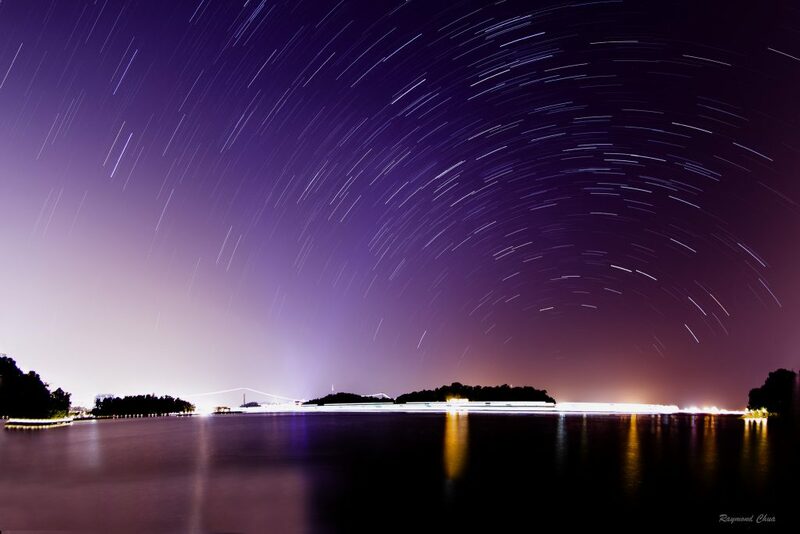 If you want to stargaze on V-Day itself, then head to one of these other stargazing spots in Singapore! Download a free stargazing app like SkyView Lite and identify constellations together. This alternative V-Day idea will leave you with more knowledge about the glimmering stars than before! 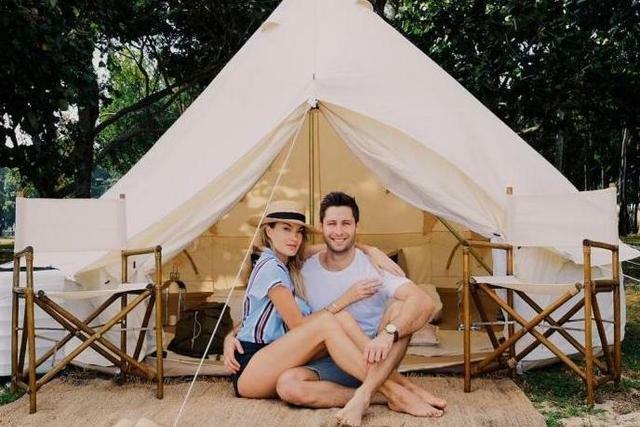 Glamping combines the rusticness of camping and the privacy that comes with a hotel staycation. Essentially, it’s a pop-up hotel. East Coast Park is one of the best places to set up tent at for an overnight stay with the promise of a spectacular sunrise view (as long as it doesn’t rain). 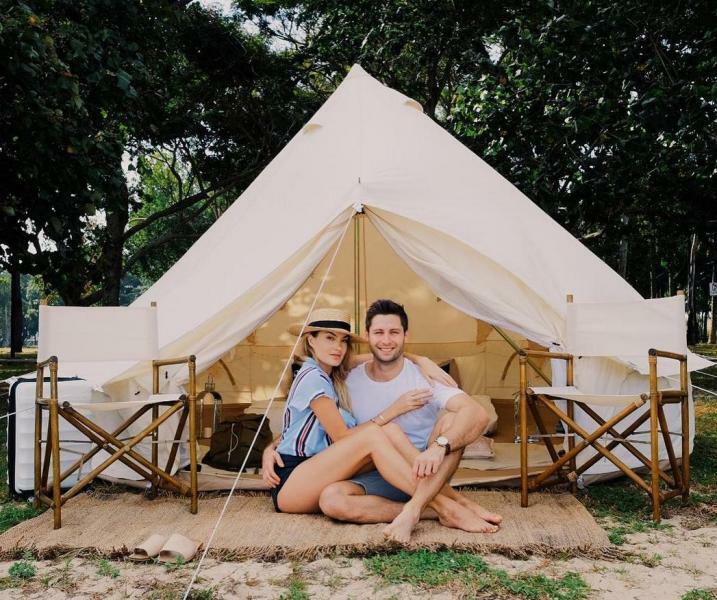 Glamping Society is Singapore’s first glamping company. Choose their couple package and get beautiful ball tents and housed with double bed, plush pillows and adorned with fairy lights. Optional extras also include free-standing hammocks and breakfast baskets! If you’re a couple that doesn’t mind living in the wild and giving up your bathtubs for the day then this is one alternative Valentine’s Day idea you have to try! Afterall, how many other places allow you to sleep and wake up to the sound of crashing waves in Singapore? Appreciate the simpler things in life? Then Netflix and chill with a pizza takeout and beer. Prefer to go a little more gourmet? Then whip up air-fryer snacks and uncork the wine bottle you’ve been meaning to open! Get comfy on your sofa, put your phone on silent mode and get lost again in an old series, latest movie or your favourite stand-up comedy! You can pause, fast forward and skip the parts that you guys don’t like or repeat your favourite dialogues over and over again. No one’s there to judge! 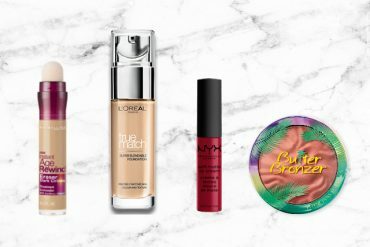 We hope you guys got some inspiration for alternative Valentine’s Day ideas with this article! Check out our guide on couple activities to do in Singapore for other ideas you might like. 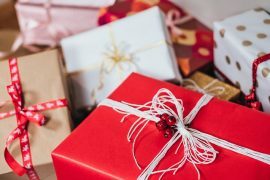 If you’re looking for V-Day gifts for him, this gift guide for all types of Singaporean men should sort you right out. Shout out to all men! Make sure you send those V-Day flowers on V-Day and not a day later or earlier — look out for retailers which do free flower delivery in Singapore! * TNC Applies. Valid for new users from 11 to 18 Feb only. Next articleWhat’s poppin’? Movie screenings, that’s what!